My mercy is expressed upon those who love Me and deny themselves. And the punishment visited upon the wicked is precisely proof of My righteous disposition and, even more, testimony to My wrath. When disaster comes, famine and plague will befall all those who oppose Me and they will weep. Those who have committed all manner of wickedness, but who have followed Me for many years, will not escape paying for their sins; they too, falling into disaster, the like of which has seldom been seen throughout millions of years, will come to live in a constant state of panic and fear. And those of My followers who have shown loyalty to Me alone shall rejoice and applaud My might. They will experience ineffable contentment and live in a joy that I have never before bestowed upon mankind. In this record of Noah’s story, do you see a part of God’s disposition? There is a limit to God’s patience toward man’s corruption, filthiness, and violence. When He reaches that limit, He will no longer be patient and will instead begin His new management and new plan, start to do what He has to do, reveal His deeds and the other side of His disposition. This action of His is not to demonstrate that He must never be offended by man or that He is full of authority and wrath, and it is not to show that He can destroy humanity. It is that His disposition and His holy essence can no longer allow, no longer have the patience for this kind of humanity to live before Him, to live under His dominion. That is to say, when all of mankind is against Him, when there is no one He can save in the whole earth, He will no longer have patience for such a humanity, and will, without any misgiving, carry out His plan—to destroy this kind of humanity. Such an act by God is determined by His disposition. This is a necessary consequence, and a consequence that every created being under God’s dominion must bear. 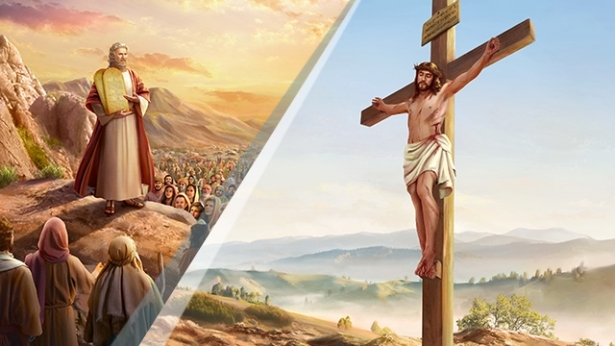 In the phases of God’s work, the method of salvation is still through different kinds of disasters and all those who are numbered cannot escape them. Only in the end will a situation of “as serene as the third heaven: Here living things great and small coexist in harmony, never once engaging in ‘conflicts of mouth and tongue’” be able to appear on earth. 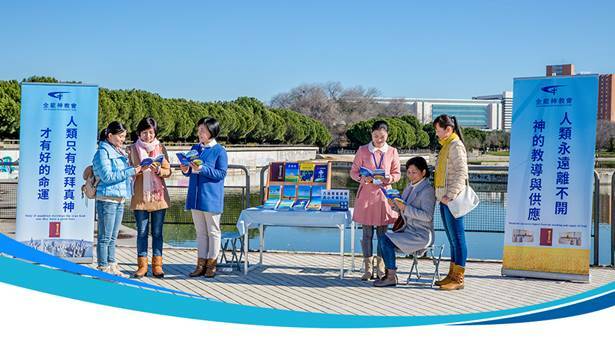 One aspect of God’s work is to conquer all of mankind and gain the chosen people through His words. Another aspect is to conquer all sons of rebellion through various disasters. This is one part of God’s large-scale work. It is only this way that the kingdom on earth that God wants can be fully achieved, and this is the part of God’s work that is like fine gold. Today, not only am I descending upon the nation of the great red dragon, I am also turning My face toward the entire universe, so that the whole empyrean is quaking. Is there a single place that does not undergo My judgment? Is there a single place that does not exist under the scourges that I hurl down? Everywhere I go I have scattered seeds of disaster of all kinds. This is one of the ways in which I work, and is without doubt an act of salvation for man, and what I extend to him is still a kind of love. I wish to make even more people come to know Me, be able to see Me, and in this way come to revere God whom they have not seen for so many years but who, today, is real. Previous：Will everyone who doesn’t accept Almighty God really succumb to disaster? Next：How many people within religion will turn back to God in the disasters?